The environmentally friendly and completely free way to light your garden! 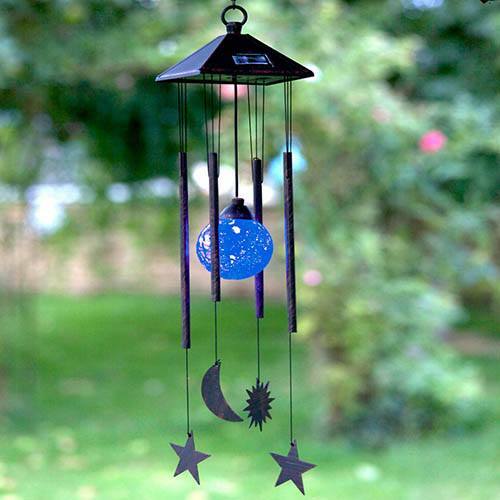 This solar powered wind-chime beautifully enhances archways or trees with a relaxing chime sound. It charges through the solar panel in direct sunlight and will automatically illuminate the crackle globe at night. Pleasant sounds and a beautiful glow-Enjoy!